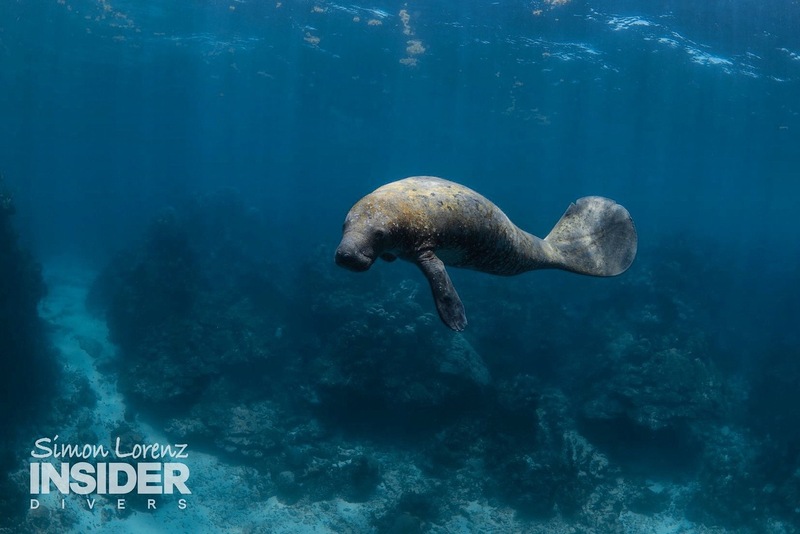 Since the beginning of this 2018, the sightings of manatees at the Southern tip of Yucatán have substantially increased! Playa del Carmen / Munich, September 17, 2018 – XTC Dive Center is the only center in the region with a comprehensive tech diving setup and is located right within a large marine sanctuary. The top diving attractions right in front of the own boat dock are coral formations with big schools of huge tarpons. And manatees. 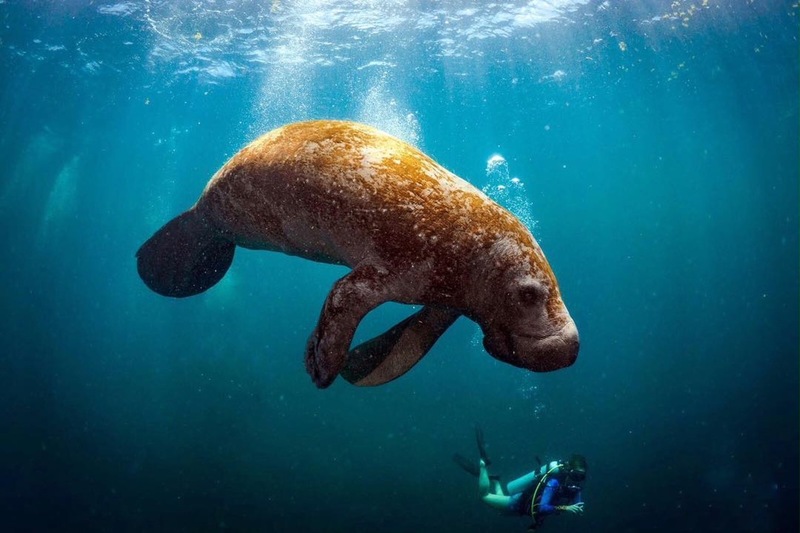 The behaviour of these marine mammals, called manatees (with a round caudal fin) which were considered mermaids by European explorers because of their floating-like silhouette resembling of a female swimmer, has changed dramatically. 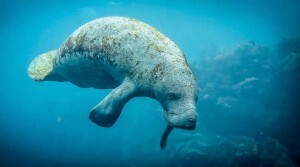 „We have not yet figured out why,“ says Javier Salas, owner of the XTC Dive Center, about the new situation, „but we’ve been seeing an increasing amount of manatees for months now.“ Sightings of this miraculous, two-meter-long and 250-pounder animals are not exceptional in this part of the world, especially as one of the world’s largest herbivore populations lives near the XTC Dive Center. Manatees are very shy, so encounters between humans and animals were rather rare. „This has now changed fundamentally,“ says Salas, „if guests wanted to observe manatees in the past, we went to an intense, time-consuming, and yet mostly frustrating, because unsuccessful, search. Now all one has to do is to dive on our doorstep. The XTC Dive Center is located in the very south of the Yucatán Peninsula, and meanwhile well known among many divers hungry for adrenalin infused dives, because it is the starting point for trips to the offshore Banco Chinchorro atoll, where you can snorkel with saltwater crocodiles. Text: Sightings of manatees in Yucatán have substantially increased. Text: The two-meter-long and 250-punder animals were considered mermaids by European explorers. Text: A rendezvous with the miraculous mermaids is now possible right at XTC Dive Center’s doorstep.